HID Global released a compact UHF RFID tag specifically designed to track gas bottles, kegs and other curved metallic containers with small curve radius. Providing reliable long-range reads even when mounted on metallic containers filled with liquids, the Keg Tag UHF allows to improve speed and accuracy of logistics operations involving gas bottles, kegs and other curved metallic containers. Despite the compact size of 40 x 33 x 9 mm, the Keg Tag UHF can be read from up to 6 meters, delivering accurate accounting in seconds of entire pallets and even truckloads with evident advantages in terms of time and therefore money saving. The curved shape with curve radius of 75 mm makes the Keg Tag UHF a perfect fit for gas bottles and other curved metallic assets with comparable curve radiuses. The tag is rated IP68 and IP69K to withstand prolonged immersion in water and high-pressure and high-temperature washdowns. Its rugged encapsulation survives also sterilization processes, a broad range of aggressive chemicals, varying environmental conditions, challenging mechanical stresses. The product standard color is Pantone blue 287C, but custom colors are possible upon customer request. The tag can be delivered also with custom embossed logo. The Keg Tag UHF is available in two frequency versions, 865-868 MHz and 902-928 MHz, and leverages the Impinj Monza 4E chip that offers 496 bits of EPC memory, a 48-bit unalterable serial number and 128 bits of additional user memory. Do get in touch with HID Global for more information on this UHF RFID tag for gas bottles, kegs and other metallic containers with curved surfaces. 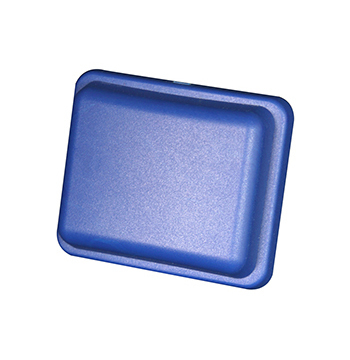 Looking for other RFID tags? Try our RFID Tag Search Engine or contact us at info@veryfields.net, also for suggestions about complete RFID solutions.